In the idyllic village of Grasmere, we have three characterful, stone built Lakeland cottages available for holiday let. Goody Bridge Cottage (sleeps two), Goody Bridge Barn (sleeps four) and Goody Bridge Farm House (sleeps 8) have been refurbished with your comfort in mind, with thoughtful homely touches to make your stay as relaxing as possible. The Barn and the Cottage both have luxurious double beds, Goody Bridge Farm House will comfortably sleep eight, with three luxurious double beds and one bunkbed. All have fully furnished kitchens and comfortable living spaces with fire places. We have free car parking and Wifi available. We will accept one well behaved dog in all 3 holiday properties, however, we ask that the access is limited to downstairs only in Goody Bridge Farm. 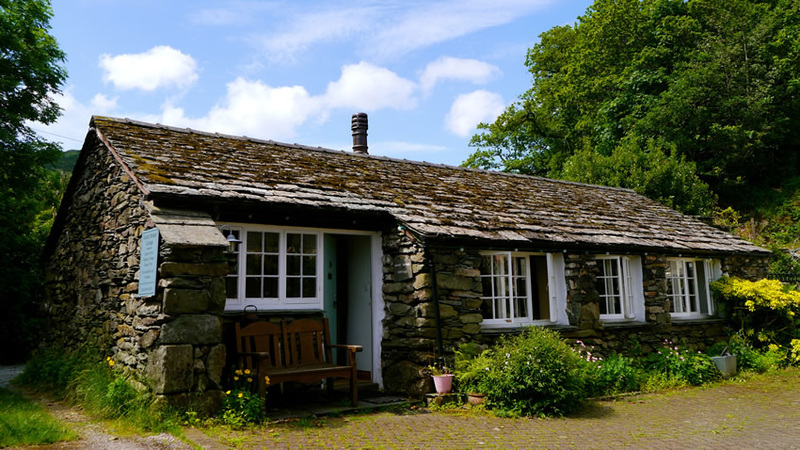 The cottages are the perfect holiday spot all year round, cosy in the winter and perfect for enjoying the peaceful surroundings in the summer weather. Goody Bridge nestles beneath the famous Fairfield Horseshoe at the foot of Easedale Valley and has many popular walks right on its doorstep, including Hellvellyn, Silver How and Helm Crag. 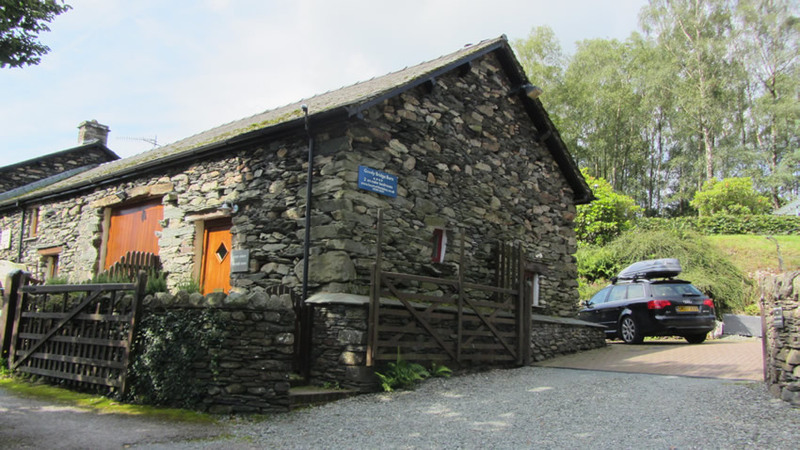 We are also only a short walk from Rydal Water and the old slate mining caves and the Old Coffin Trail. From Goody Bridge, it is only a short walk into the village of Grasmere. The village of Grasmere is the perfect peaceful holiday destination right in the Heart of the Lake District National Park, surrounded on all sides by stunning scenery and views. 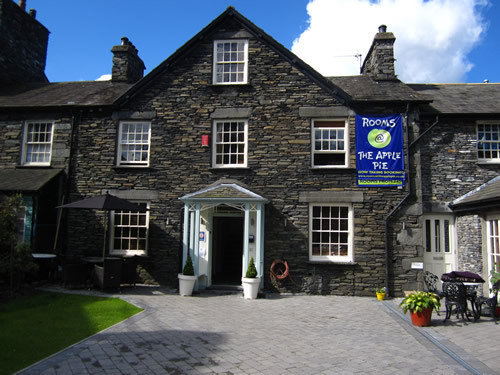 Grasmere boasts a selection of great pubs and restaurants and has its share of Lakeland history, being home to the famous poet William Wordsworth and the widely known traditional Grasmere Gingerbread. It is the ideal base for a holiday, with easy access to the whole of the National Park either by car or the nearby bus service. 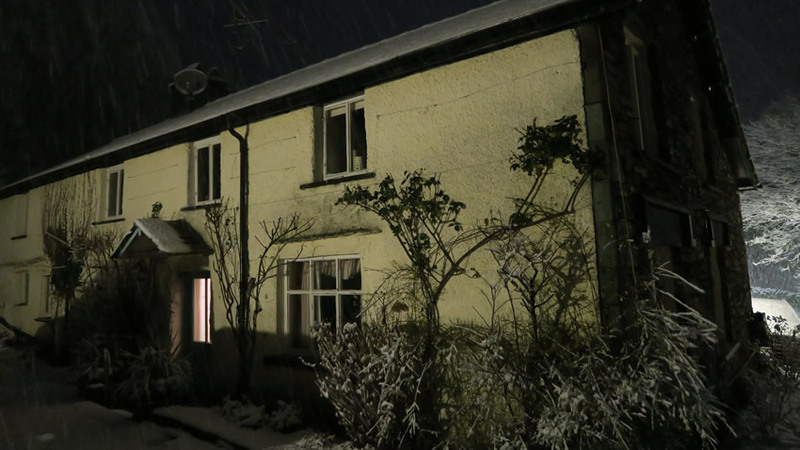 We lived at Goody Bridge Farm House for 30 years, bringing up our 3 now grown up children. We have been letting Goody Bridge Cottage for over 20 years and Goody Bridge Barn since 1993. Now that we have moved out of Goody bridge Farm House we have decided to make our much loved family home available for letting from April 2016. 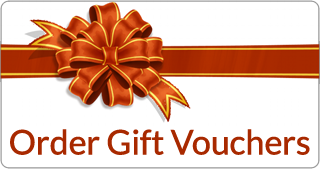 Sign up for all the latest news and offers for Goody Bridge Cottages. 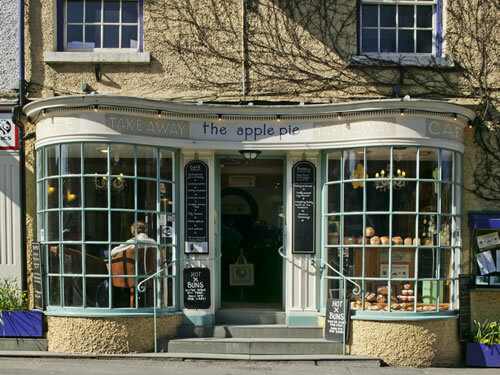 The Apple Pie celebrates 40 years! We have a choice of 8 en-suite bedrooms offering affordable boutique style accommodation. Visit our family owned Cafe & Bakery in Ambleside for fabulous homemade fayre.